Ickle is officially a Kinder Springer. * How did I not know this before? She is forever bouncing off walls at home, and makes a beeline for the nearest trampoline at every opportunity. So last week at Springloaded she was truly in her element. 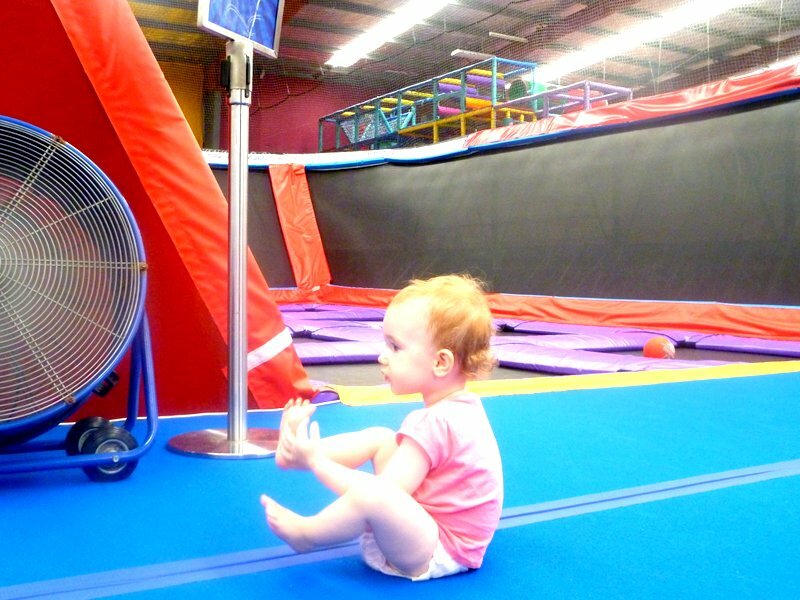 The indoor trampoline park is set in industrial/commercial land in Gateshead, an easy drive up the Pacific Highway from our little corner of Lake Macquarie. Sessions have to be booked in advance, or you take your chances and drop in on the day like us. 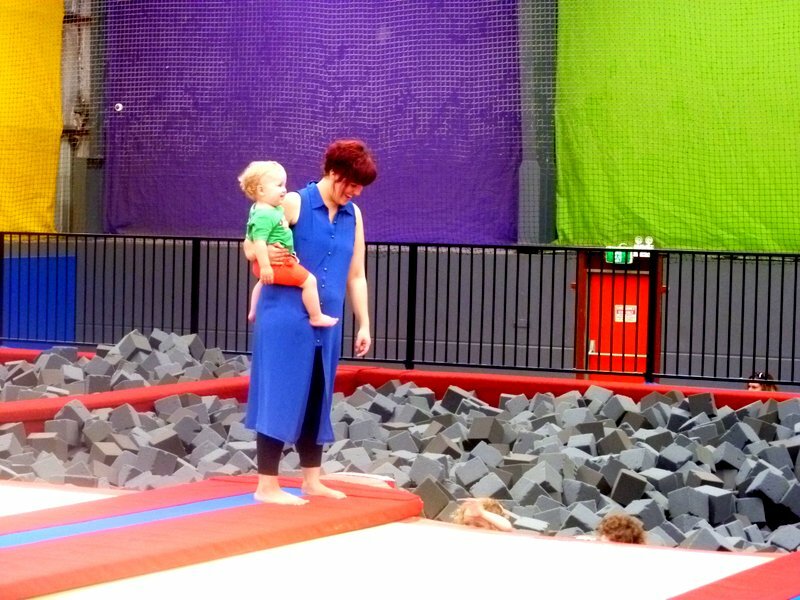 During busy periods, I imagine things can get pretty hot and hectic in the jumping arena, but Ickle and Ettie were lucky enough to have most of the space to themselves. They bounced with abandon, jostled for prime position, and raced from one section to another; they launched themselves headlong into the foam pits and had to be fished out on more than one occasion. Sometimes, rather sweetly, by each other. Their younger siblings also wanted to be part of the action, although did spend some time chilling by the fans and in the Kids Only zone. And Bear discovered that a trampoline makes a very comfy mattress. 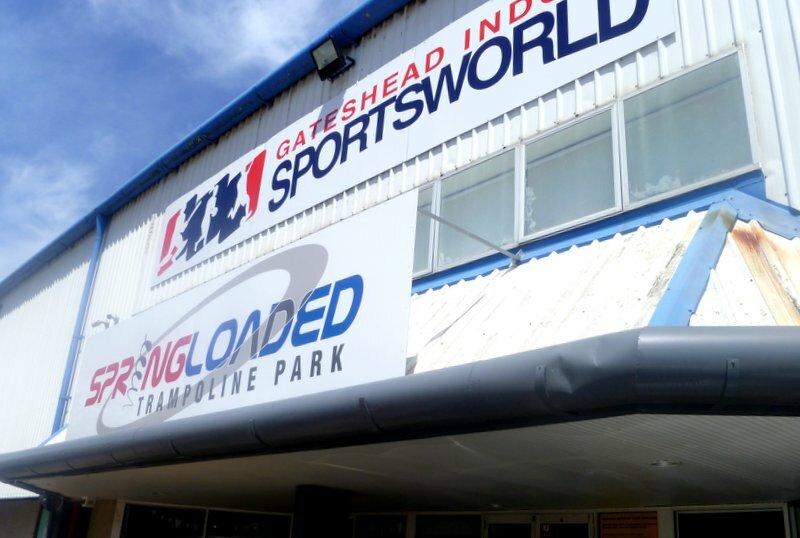 For those not worn out by all the jumping, Springloaded also offers a giant inflatable obstacle course and tri-level Play Centre (great for the littlies). As well as a huge range of catered and non-catered party options. Tempting. 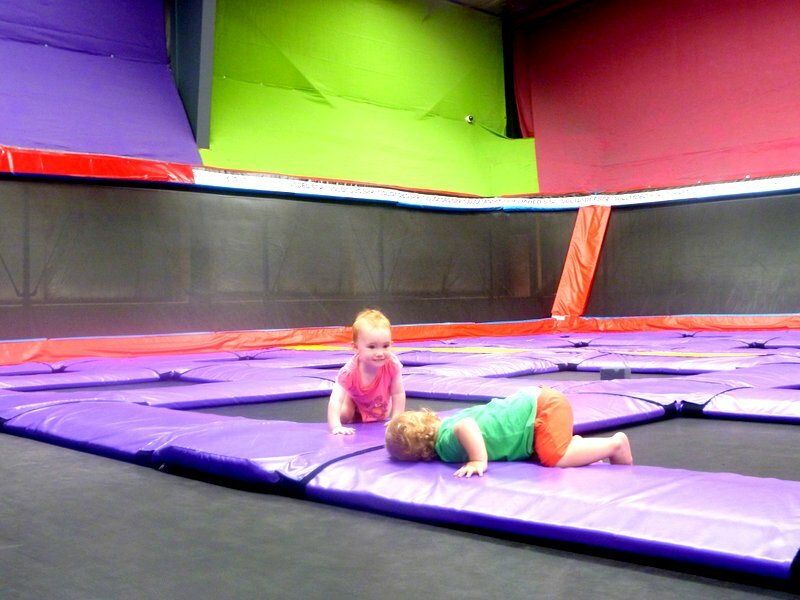 Note: You do have to sign a fairly intimidating waiver form before you or your kids are allowed to jump. Details are available on the Springloaded website. Worth knowing. *Kinder Springer: Springloaded age category for 6 years and under. 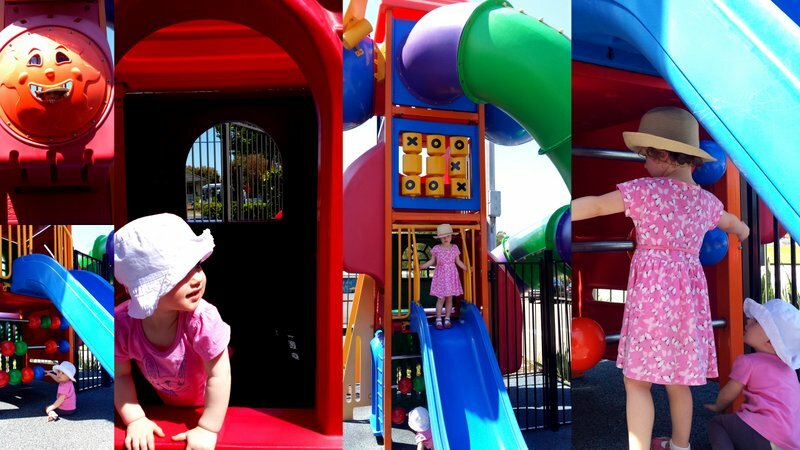 This entry was posted in Close to home and tagged Newcastle, obstacle course, Play Centre, Sprngloaded, trampoline park, trampolines on December 21, 2015 by Laura. Climbing the Sydney Harbour Bridge is a must-do on most tourist bucket lists. And it’s easy to see why. Exploring this iconic structure close-up, and enjoying the magnificent views over the water and city, is a unique experience. 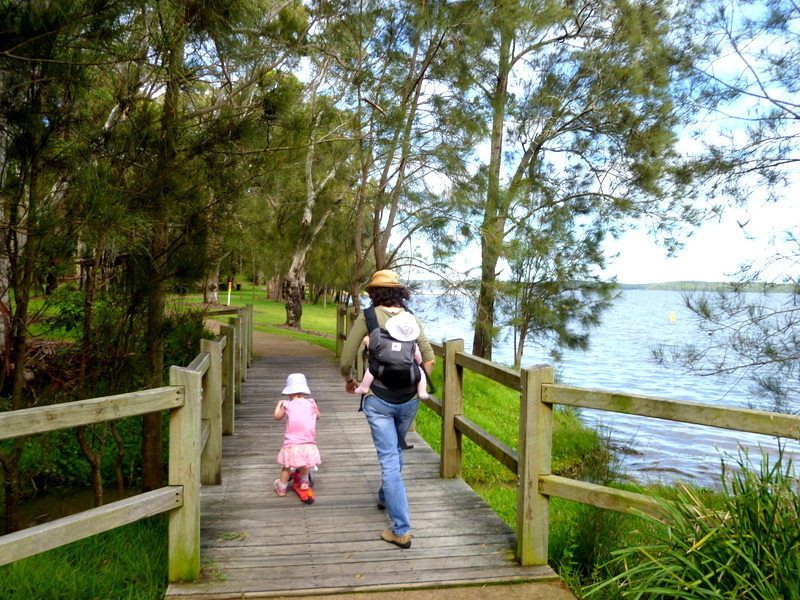 Perhaps lesser known is the footbridge that spans the Pacific Highway at Lake Munmorah on the Central Coast. 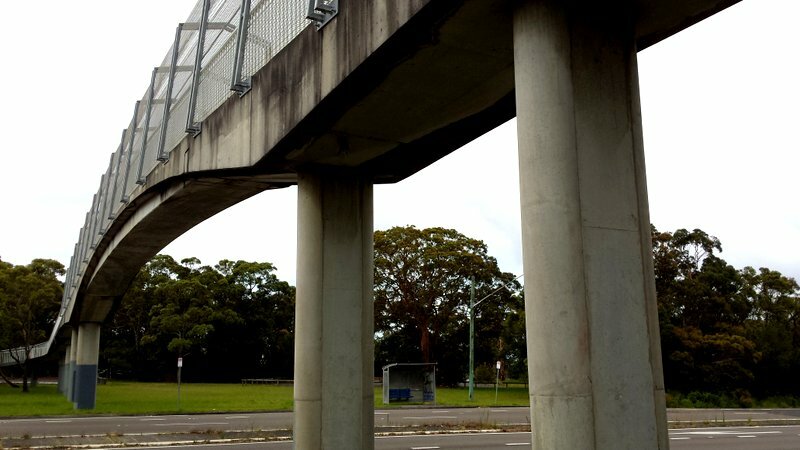 This concrete and metal structure links a residential suburb with some of the main schools in our area. To my mind, it’s an ugly example of modern urban architecture. But for Ickle, it has been an object of real fascination for months. We have driven under it hundreds of times, but that is not where she wants to be. 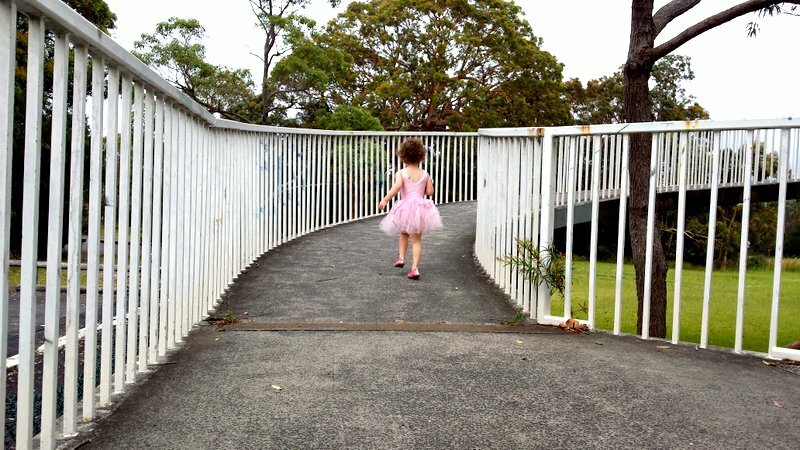 “Mummy, can we walk over the bridge, please?” has been a regular refrain on car journeys. So, this weekend, we did. Just the two of us en route to the local shopping centre. We stopped in the grubby little car park where I imagine parents battle for spots at school drop-off and pick-up times. Out hopped my little pink fairy, very excited about the prospect of an impromptu bridge climb. And looking more than slightly incongruous against its dreary greyness, as she scampered up the concrete slope. At the top, we peered down to the road below – no harbour vistas here – and admired the passing traffic, before descending to the other side. By this stage, Ickle was beside herself and wanted to run all the way up and over again. Slightly alarming despite the railings and extensive safety grille, so I attempted to slow her to a walk. Alongside me. Back to our starting point. And the fun is not over yet. Next time, she has announced, we are doing it twice. 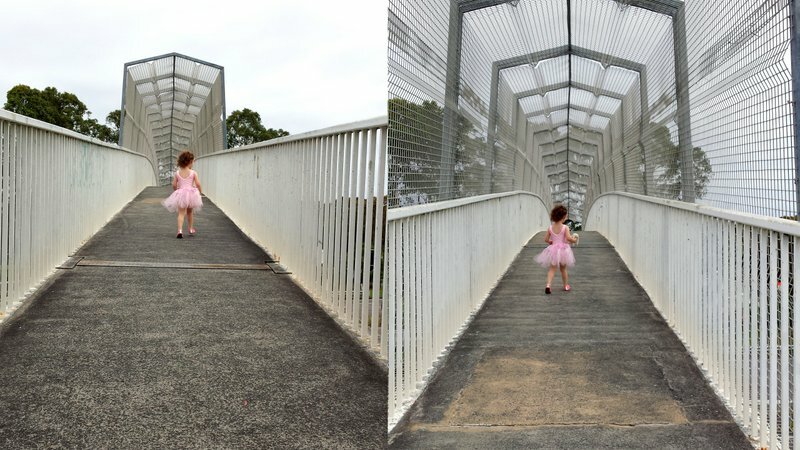 This entry was posted in Close to home, Ickle things and tagged bridge climb, Central Coast, Lake Munmorah, Pacific Highway, pink fairy, Sydney Harbour Bridge on November 23, 2015 by Laura. Australia does not have a huge tradition of celebrating Hallowe’en; in fact, some folk are dead against the festival. Many of the criticisms I have heard involve the words “American” and “commercialism”. And then, of course, there’s the timing. The season of mists and mellow fruitfulness is still months away; out here, we’re currently gorging ourselves on stone fruit and pineapple and preparing for the summer sun. Things are changing, however, and don’t just take that from me; Hallowe’en is on the rise in Australia. Events range from small community get-togethers to large-scale spectaculars, such as Sydney’s annual Zombie Walk, now in its fifth year. Even our local supermarket was bedecked with cobwebs and spiders this year. I personally don’t have any objection to children, big and small, dressing up in spooky costumes and stuffing themselves full of sugar one night a year. That said, I do find some costumes downright scary, and make valiant efforts to limit the amount of sweets/lollies that Ickle consumes. And I would never let a young child go trick-or-treating in unchartered territory, or without an adult by their side. We didn’t go banging on doors this year, anyway. Local friends had invited us to a party at their place, where it was all about fun. An enormous spiderweb greeted us at their gate and, inside, little witches, skeletons and ghosts bounced around with sausage sandwiches and sweets in hand, while the grown-ups enjoyed a chat and a bevvy. Ickle opted to buck the Hallowe’en theme, dressing up as a pink fairy. 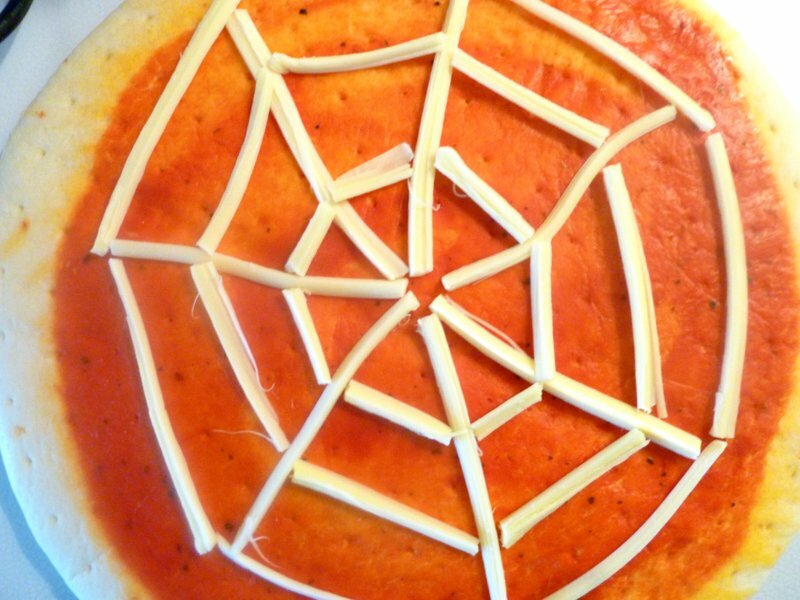 And I rustled up a quick treat in the kitchen to take with us: a spiderweb pizza for something different. Not to mention quick and easy! I arranged the string cheese in a web on a pre-bought pizza base, baked it in the oven and then placed a rather poisonous-looking olive spider on top. It was not one of my best efforts, I’ll admit. I got distracted during the 10-minute baking time and the cheese started to bubble and brown. And the pizza came out tasting a bit dry and bland. Next time, I’ll definitely load it with tomato sauce and whisk it out of the oven as soon as the cheese has started to melt. Loved the spooky spider though! 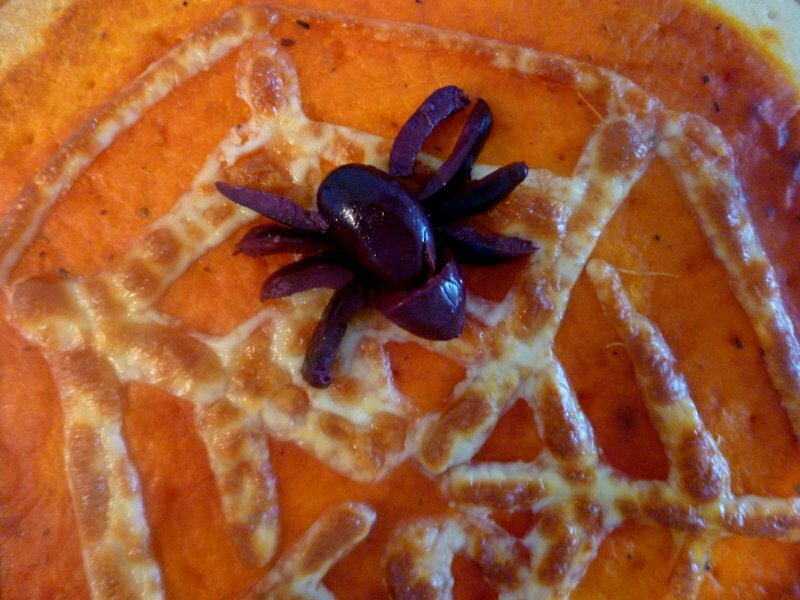 This entry was posted in Close to home, Food and tagged Hallowe'en, spider, spiderweb, spiderweb pizza, Spooktacular Hallowe'en Scarefest, trick-or-treating, Zombie Walk on November 6, 2015 by Laura. Those who know me well may be a tad surprised by this post in praise of…Macca’s*. After all, aren’t the golden arches best known for – gulp – cheap junk food? And, while we’re on the subject, are a Big Mac and fries really food at all? I am a recent convert to the delights of Macca’s. Apart from a few random stops on the motorway, I really haven’t frequented the chain at all. 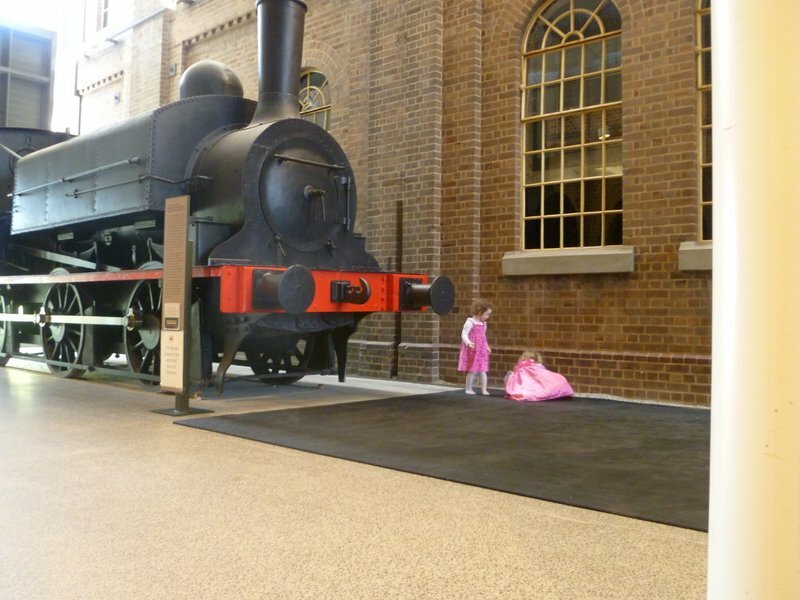 But a few mummy friends assured me that it was a great place for kids. And – you know what – they were right. Our local Macca’s is a mere 20-minute drive away in Swansea. 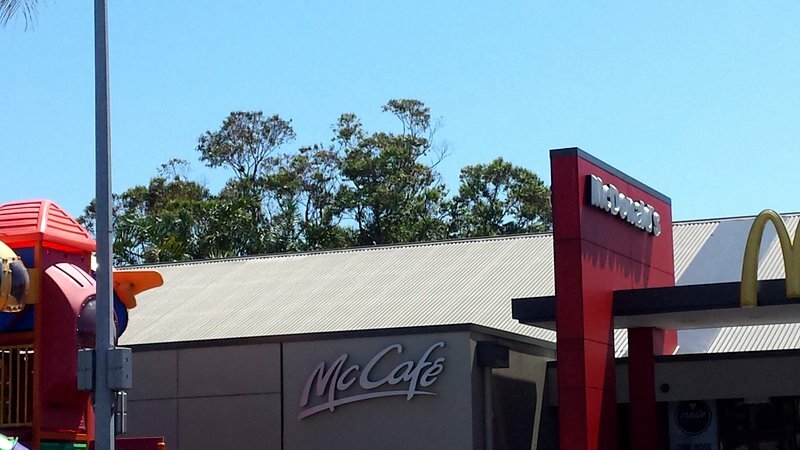 Air con keeps it blissfully cool at this time of year (a real plus in the Aussie climate), and it also incorporates a McCafé, catering to the national obsession with all things caffeine and cake. No need to head to Macca’s for a burger and fries, then, when you can get your coffee and sugar fix there instead. On Friday, the girls and I unexpectedly had a day to ourselves. The mercury was set to soar, so I hit on the idea of Macca’s followed by a visit to the library next door. Ickle knew exactly where we were heading; the golden arches soar above the roundabout into Swansea, and the soft play area adjoining the outlet is also easily visible. Someone at Macca’s clearly knows how to attract the ickle generation. First stop, McCafé where Ickle selected a strawberries & cream macaron, while I opted quelle surprise for a flat white, along with a scone to share. OK, so the macarons are not a patch on the Ladurée delicacies I dream of from my Paris days (sigh), the scone wouldn’t get a look in at a Devonshire cream tea (um, squirty cream for one), and the much-publicised barista-made coffee is passable at best. But – hang on – let’s not be snobby here. This is Macca’s and I’ve spent less than $7, in return for which I get to sit in a beautifully cool space with my girls and watch the world go by. And then, they get to use some excellent play equipment outside, on soft fall (love that surface – way less dirt for Mivvy to munch on). Like I said, the mummies were right: Macca’s is great for kids, and it’s a pretty good spot for their mummies too. *Australians love their diminutives, hence McDonald’s becomes Macca’s. 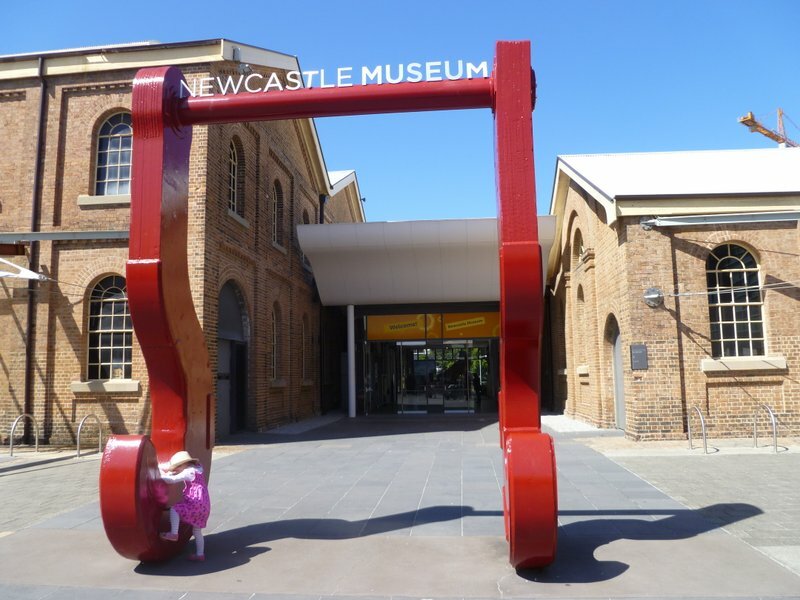 This entry was posted in Close to home, Food and tagged flat white, library, macaron, Macca's, McCafé. Ladurée, McDonald's, Swansea, the golden arches on October 19, 2015 by Laura. 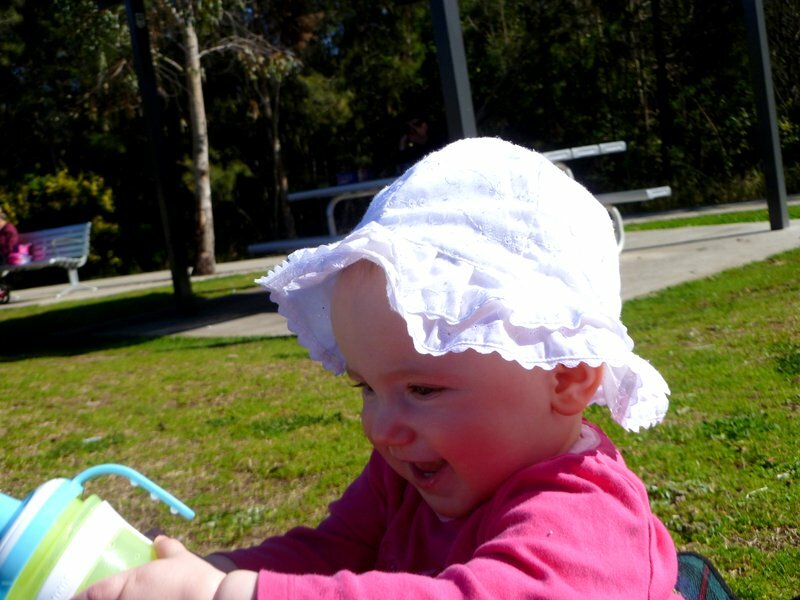 In the 3.5 years we’ve lived on Lake Macquarie, I’ve only ventured up north to Newcastle once. On that occasion Ickle and I visited Carrington, met up with a friend in a boho café on the main drag, and picnicked in a nearby park. A return visit was long overdue. 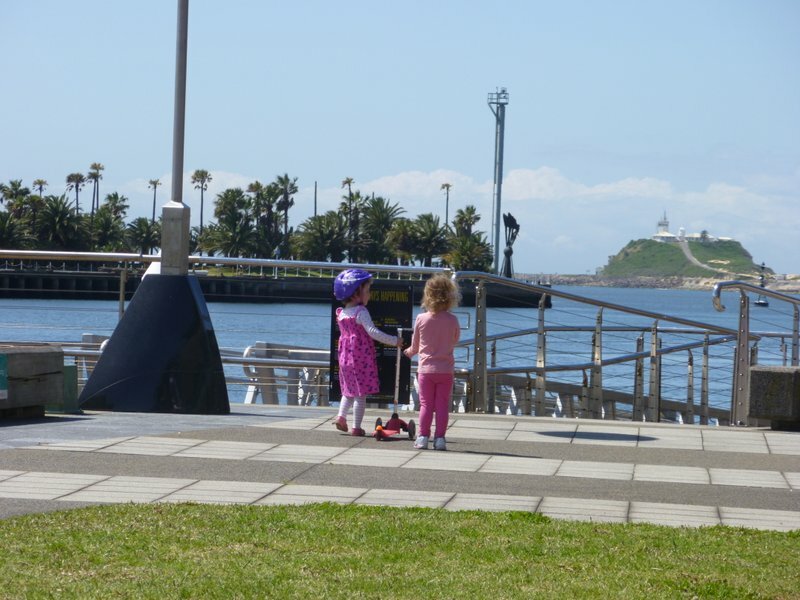 This entry was posted in Adventures, Close to home and tagged Carrington, Honeysuckle, Honeysuckle Promenade, Newcastle, Newcastle Museum, Newie, Nobbys Lighthouse, scooter on October 7, 2015 by Laura. Wyee Point is one of those suburbs you might pass by in the car without giving it a second thought. There’s not much to see from the main road except the sloping rooftops of a retirement village and plenty of trees. 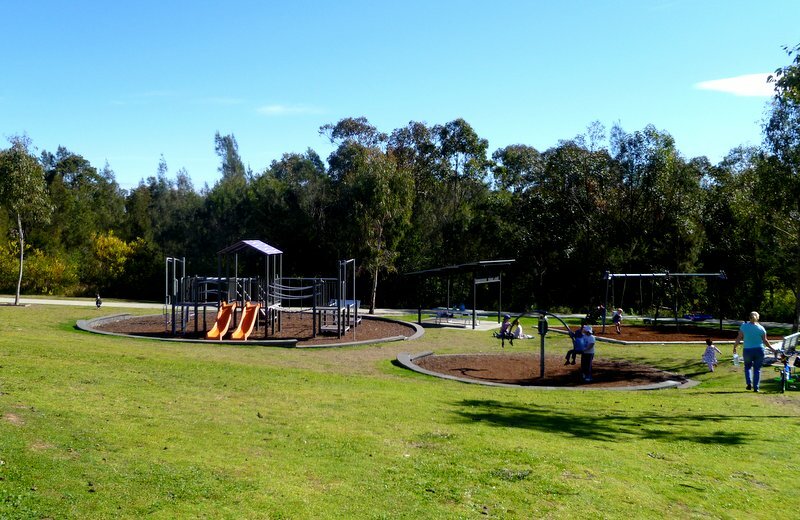 Stop though, and a real treat is in store; this quiet suburb is home to our new favourite playground. 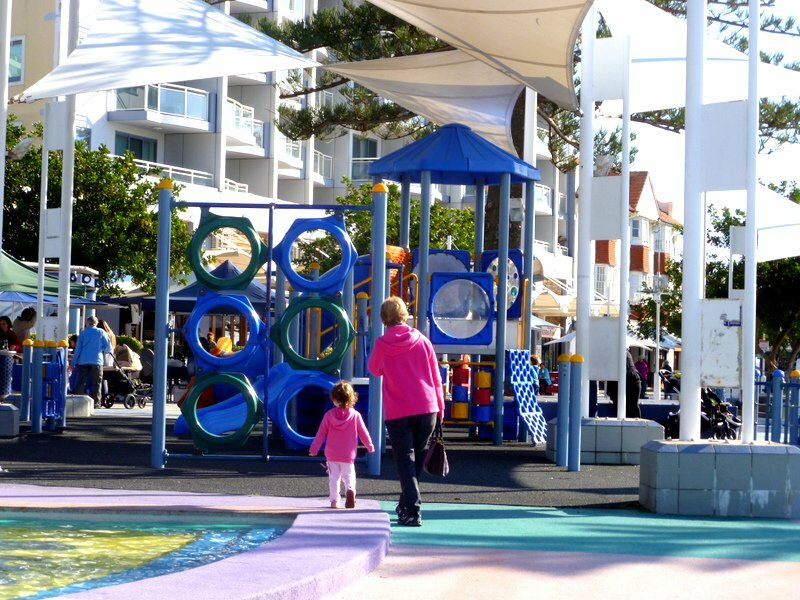 We still love the Variety Playground at Speers Point too. Who doesn’t? But, the latter is just a little too far from home for regular visits. Whereas Wyee Point Reserve is an easy twenty-minute drive away, and has plenty to offer. The fantastic cycle/scooter circuit for starters. We took Ickle’s Mini Micro for the first time this weekend and she couldn’t wait to zoom down the hill. 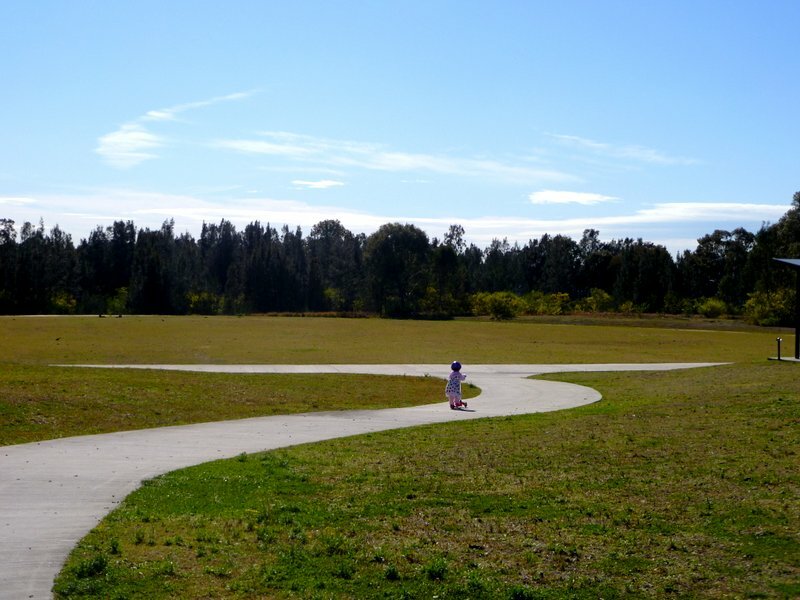 I had no idea the track was so long until she disappeared off into the distance…with Mivvy and me in hot pursuit. And look who greeted us at the bottom of the slope! 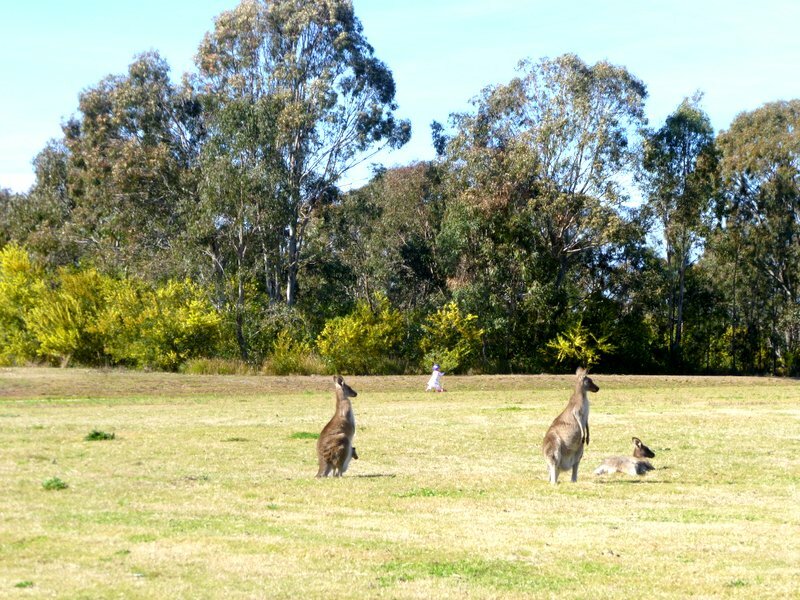 A few furry friends had hopped out of the surrounding bush to soak up the winter sunshine. 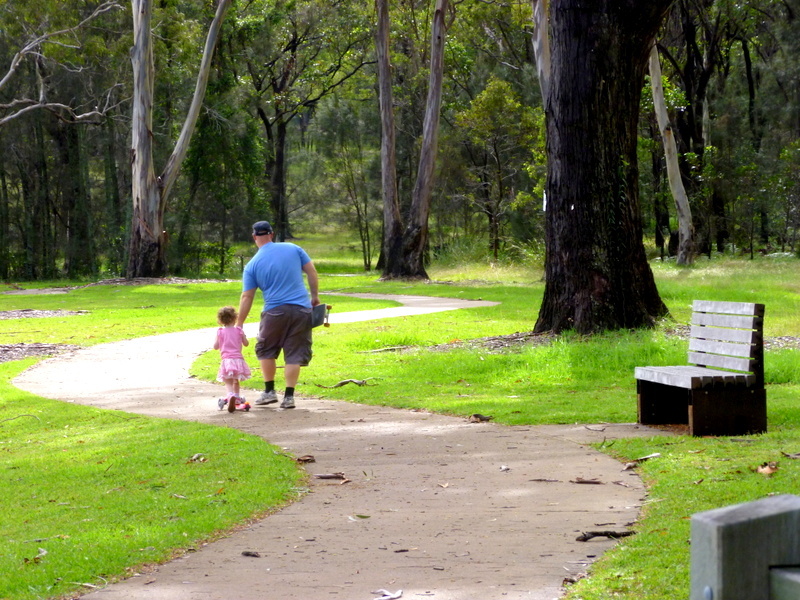 In fact, although Wyee Point is a growing suburb, it’s still relatively rural,* and the reserve has retained a sense of spaciousness and tranquillity. Even on a sunny Saturday morning, with two birthday party groups in attendance, it had a wonderful laid-back feel about it. Whether this is the case in the height of summer has yet to be seen. 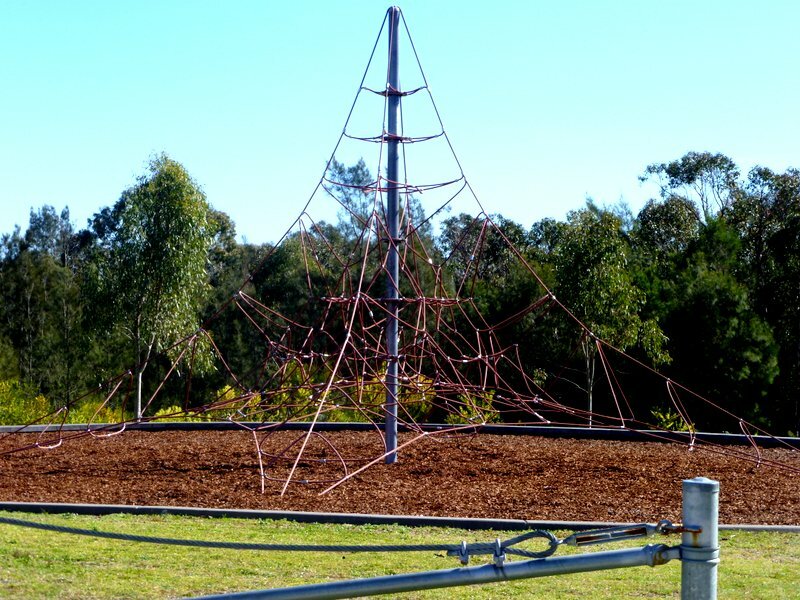 The equipment is varied with a spider web, flying fox and spinning see-saw among the prime attractions. And traditional classics such as swings and slides also feature. There are also barbecue areas and covered shelters making it a great place for a group get-together. Ickle had a ball moving from one activity pod to another. Mivvy mainly sat on a picnic rug, surveying her surroundings with great pleasure, while trying to surreptitiously stuff wood chippings into her mouth. And Nana L. and I had fun catering to the whims of two little misses. *Being rural, the reserve is not all pristine and proper, of course. Ickle’s scooter wheels and our shoes were filthy after a few circuits of the track, and the play area is liberally sprinkled with animal droppings. So that explains why a lot of littlies turn up in boots, then. 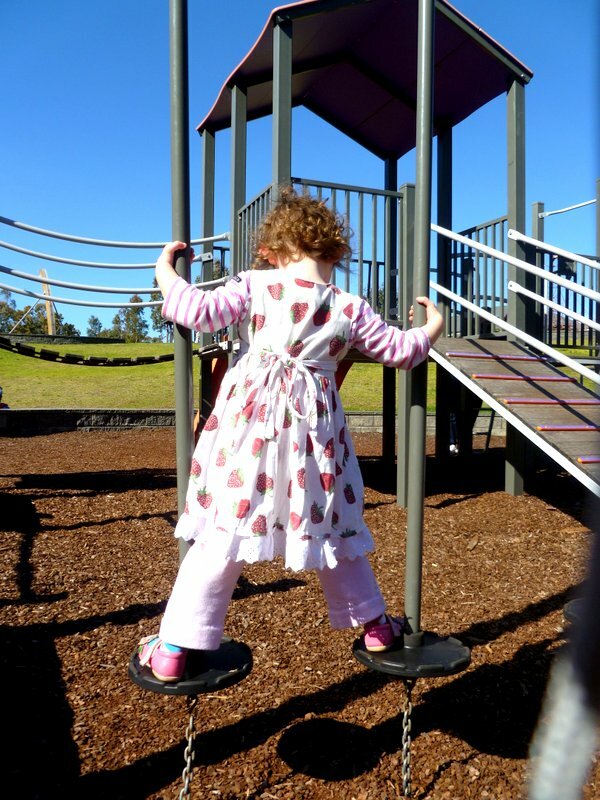 This entry was posted in Close to home and tagged barbecues, flying fox, Speers Point Park, spider web, spinning see-saw, Wyee Point, Wyee Point Reserve on August 2, 2015 by Laura. The Entrance has not been a destination of choice for Family Ickle. I could put this down to the travel time to get there: a 40-minute drive away, it really has to be worth the effort. However, if truth be told, it actually has more to do with my first, and only, visit there a couple of years ago. We went mid-week to catch up with a friend over lunch, and I was not inspired. The streets were empty and the shop fronts shabby; in fact, the whole place had a well-past-its-heyday kind of feel about it. And, to add insult to injury, just as we were leaving, we were waylaid by a rather odd lady in the car park who tried to tickle Ickle’s toes and just would not go away. All-in-all, not a very positive start. However, I don’t give up so easily. 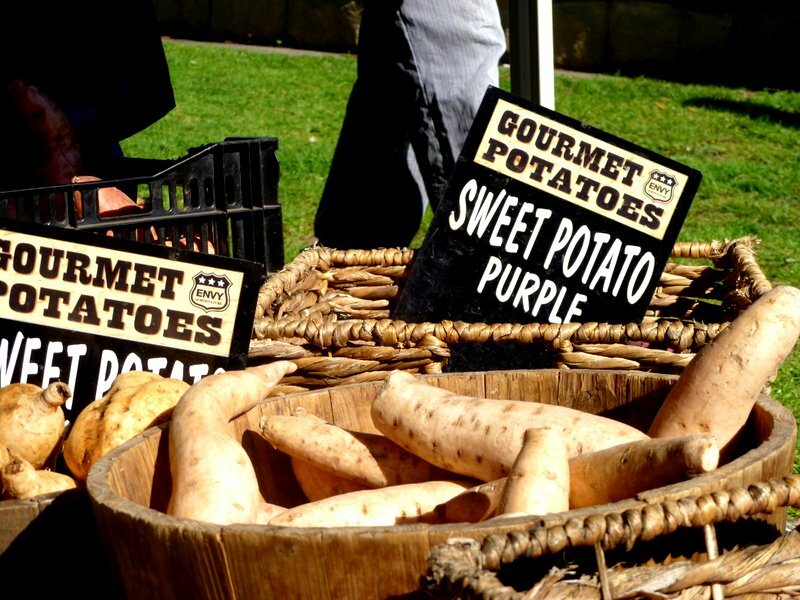 The Entrance also happens to host a twice-monthly Farmers Market, which I have wanted to check out for ages. And last weekend, we finally made it. Just a girls’ excursion: the littlies, Nana L and me. Plus some cash and a large shopping basket, aka the storage underneath The Stroller. Saturday dawned, clear and beautiful, and the sun gradually took the morning chill out of the air. 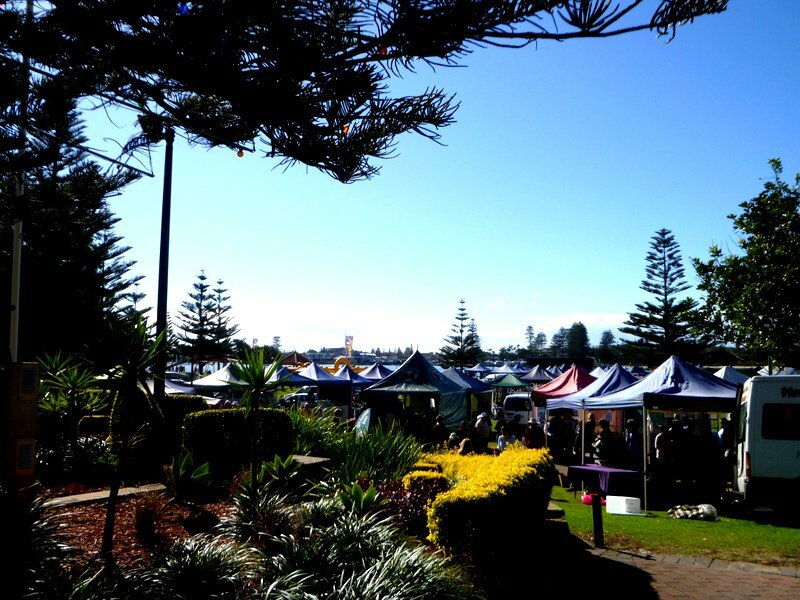 Memorial Park was a sea of tents, with stalls selling everything from locally-grown fruit and vegetables to handmade fudge and intricate Vietnamese origami cards. Ickle, of course, was not remotely interested in visiting the market, especially once she caught sight of the playground at the water’s edge. And the ornamental pond with its brightly-coloured sculptures (squint and you could almost be at the Stravinsky Fountain). So, we went on a slight detour from the main purpose of the visit, before persuading her there were lots of yummy things to see ‘over there’. And, although a little overwhelmed by the crowds (and there were a lot of people), she enjoyed her look around the stalls, especially when asked to assist with a few purchases. Meanwhile, Baby Mivvy, firmly ensconced in The Stroller, seemed to take the social scene in her stride. And the buzz of the market met with my approval, too. This was The Entrance in a different light: vibrant, fresh and fun, set against a stunning backdrop of water glinting in the winter sun. 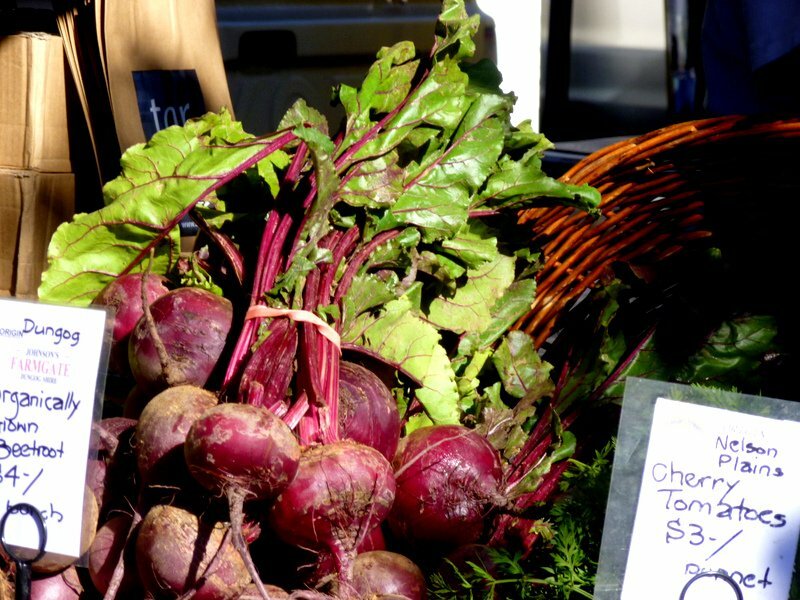 This entry was posted in Close to home, Food and tagged Central Coast, Family Ickle, Farmers Market, Memorial Park, Stravinsky Fountain, The Entrance, The Entrance Farmers Market, The Stroller on June 10, 2015 by Laura. We have spent the best part of this week unexpectedly camping in our lakeside retreat. 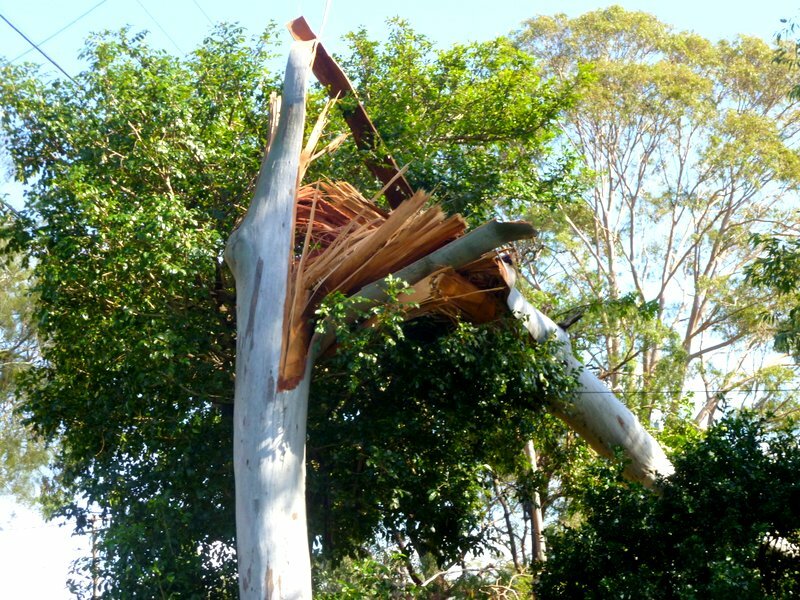 A ‘super storm’, with winds of up to 135 km/h, hit NSW with a vengeance. 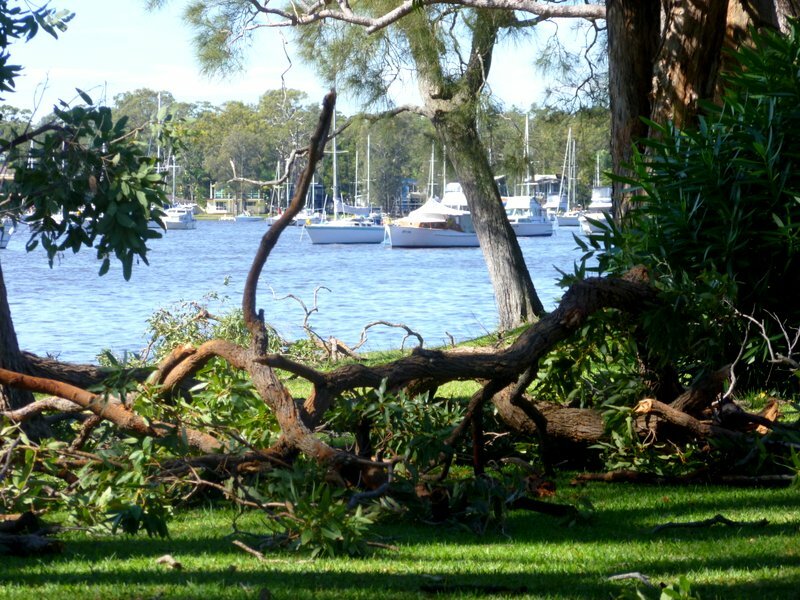 It toppled trees, hurled branches through the air and caused water levels to rise alarmingly quickly. Around 230,000 homes were left without power. For days. Ours went in the early hours of Tuesday morning. At first, we treated the situation like your average power outage: we tried not to open the fridge and freezer to keep things cool; we heated water and cooked simple food on a camping gas stove (you know, one of those little ones you can pop in a backpack for adventures in the wilderness). Come 5 pm when the light started to fade, we rummaged around for our motley collection of candles. And us girls went without a bath or shower, although Daddy Ickle braved the cold water. But, as time without electricity continued, our approach had to step up a gear. 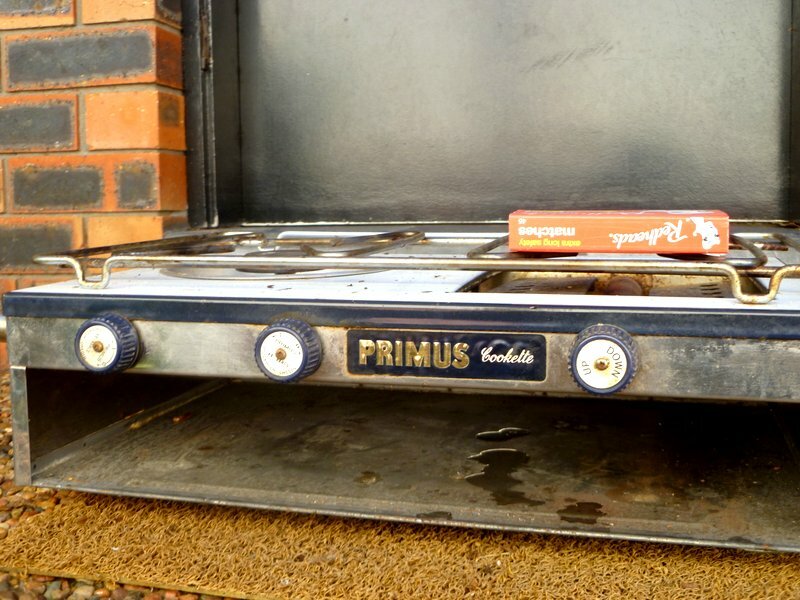 We wheeled our trusty gas-fired barbie to the side of the house, where it would be sheltered from the elements; our neighbour lent us an ancient Primus stove, wrapped in yellowing newsprint, which hadn’t seen action for years. 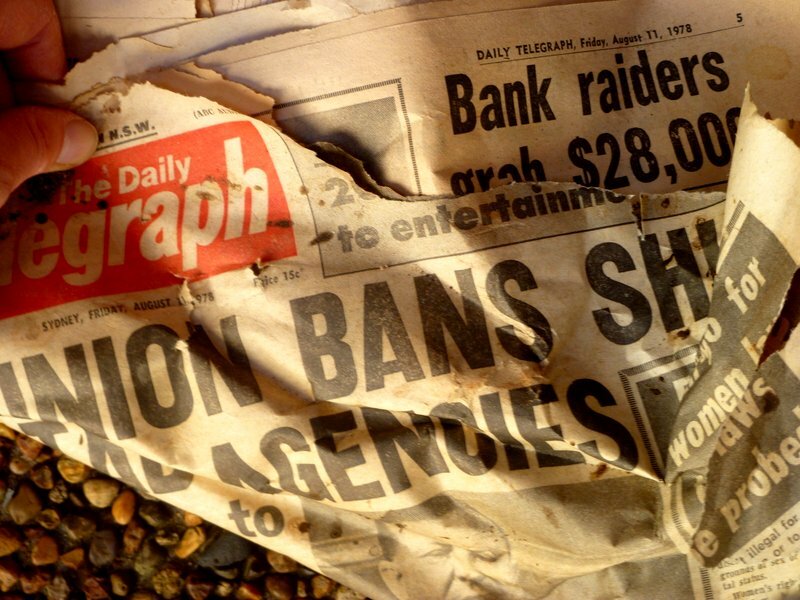 Wanna know what the headline was on 11 August 1978? “Union Bans Shut TAB Agencies.” Nope, I didn’t think so. But it worked like a dream. They don’t make things like they used to. Our fridge became a cupboard as we migrated perishables to the rapidly-defrosting freezer to keep them chilled a little longer. 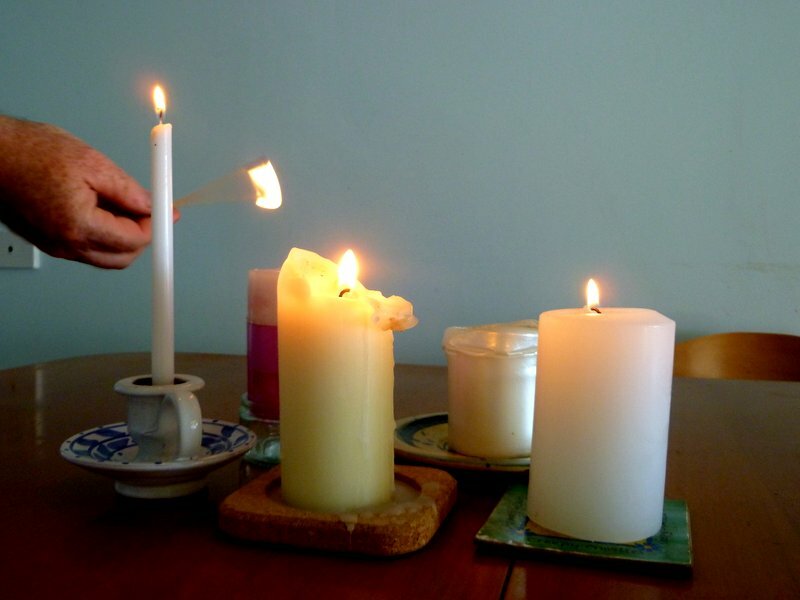 And we invested in a few more chunky candles to light our way in the inky-black evenings. The car doubled up as a phone and iPad charger, although by this stage reception was patchy and Internet non-existent. And Mr Primus hooked up his generator so the girls could enjoy a warm bath. The house was turning into a bomb site, with strange growths in the carpet and laundry heaped in every corner. And, much as I love camping, my enjoyment of our holiday at home was starting to wear a bit thin. Finally, on the evening of Day 3, lights started to appear in homes along our street. Not ours, alas. We had to sit tight until 3.30 pm the next day before our power came back on. That’s 108 long hours without it. And, as I write this, Mr Primus, along with thousands of others, is still waiting for his current to be connected. A tree took out his mains cable; a giant gum split in half like a matchstick by nature’s frenzy. This entry was posted in Close to home and tagged candles, power outage, Primus Cookette, super storm on April 26, 2015 by Laura. Ickle took a real shine to her scooter over the Easter weekend. The mean machine was a combined Christmas/Birthday gift from Nana and Bobby, and it’s no ordinary scooter. 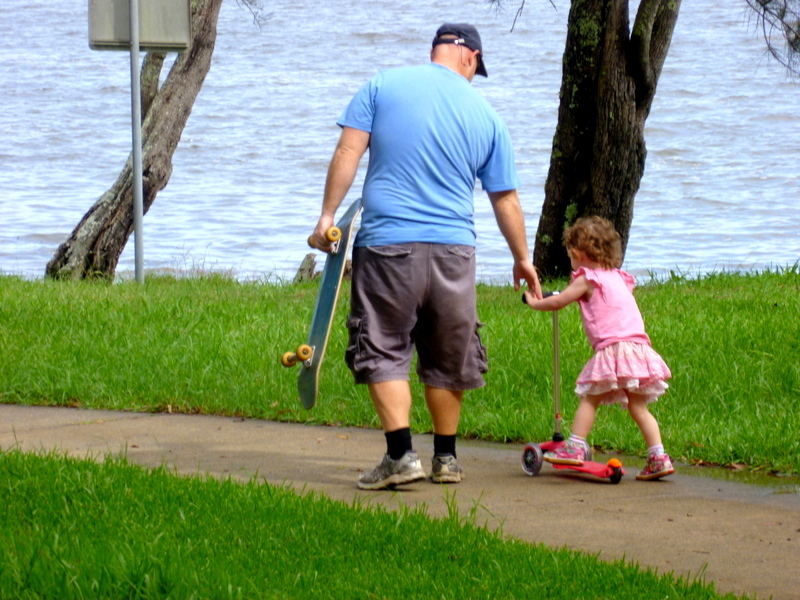 This, people, is a Mini Micro 3-Wheel Scooter, marketed as “simply the best kick scooter for preschoolers in Australia”. What’s more, it’s pink. Ickle has had a few test runs around the house, especially on our verandah, which is long and narrow and just perfect for whizzing up and down. Then she spent the best part of Easter Saturday tidying the garage with her daddy. Or so I thought…until I popped my head around the door to see her zooming around on her scooter, and Daddy Ickle riding his skateboard like a seasoned pro. It was time for a serious outing to put the two of them and their wheels to the test. 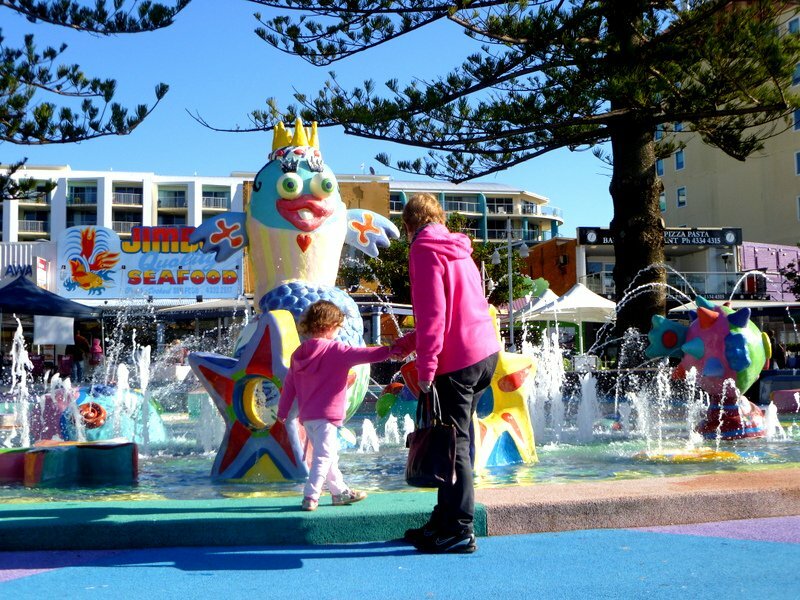 We decided on one of our favourite stomping grounds, Murrays Beach with its fabulous lakeside ‘racetrack’ . And what a perfect spot it is for a little person on a scooter or bike, or a big one on a board. Ickle and her daddy had a ball, and Baby Mivvy (as she is now called) and I pottered along until she dropped off for her mid-morning nap. 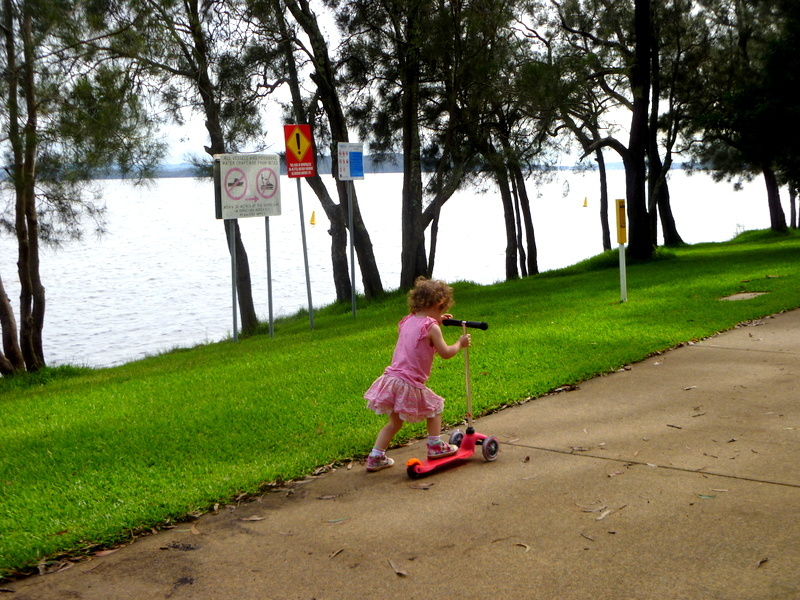 This entry was posted in Close to home and tagged Mini Micro, Murrays Beach, scooter on April 8, 2015 by Laura. 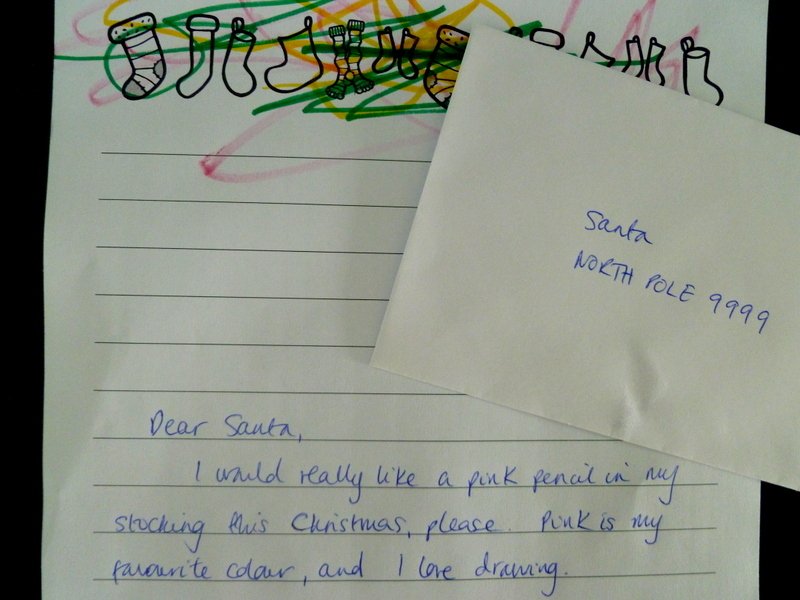 Ickle and I sat down a couple of weeks ago to pen a letter to Santa. When I was little, we wrote to Father Christmas* every year. We’d place our special messages by the fireplace and they’d miraculously disappear overnight, no doubt spirited away by the elves, or the big man himself. 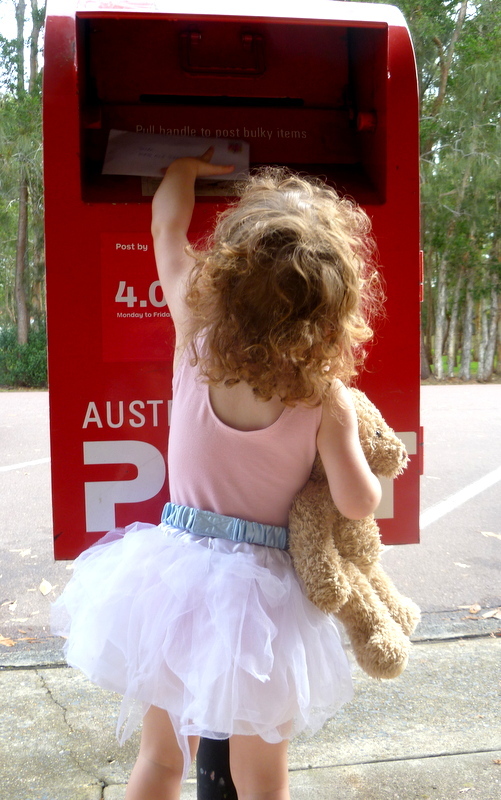 We don’t have a fireplace or a chimney in our current house, so we sent Ickle’s letter directly to the North Pole via Australia Post’s Santa Mail, as do tens of thousands of children across the country. The friendly people at Australia Post make it very easy, even providing a selection of festive letterheads to print out. Ickle made the paper look even prettier, and then I quizzed her about her wish list. She immediately announced that she was after a pink pencil. Nothing else. We popped the precious page in an envelope and dropped it into our nearest letterbox at the first opportunity. Then, we waited for our personalised response from Santa. And waited…and waited a bit more. Unfortunately, the big man and his elves have been very busy – snowed under, in fact – so we haven’t heard back. Santa knows where we live, however, because he came past in his fire truck** this afternoon with lollies (sweets) for all the children in our street. But will he have a pink pencil in his sack when he flies through the night sky later this evening? Ickle and I certainly hope so. * While Father Christmas still rules the roost in the UK, Santa is his preferred counterpart in Oz. 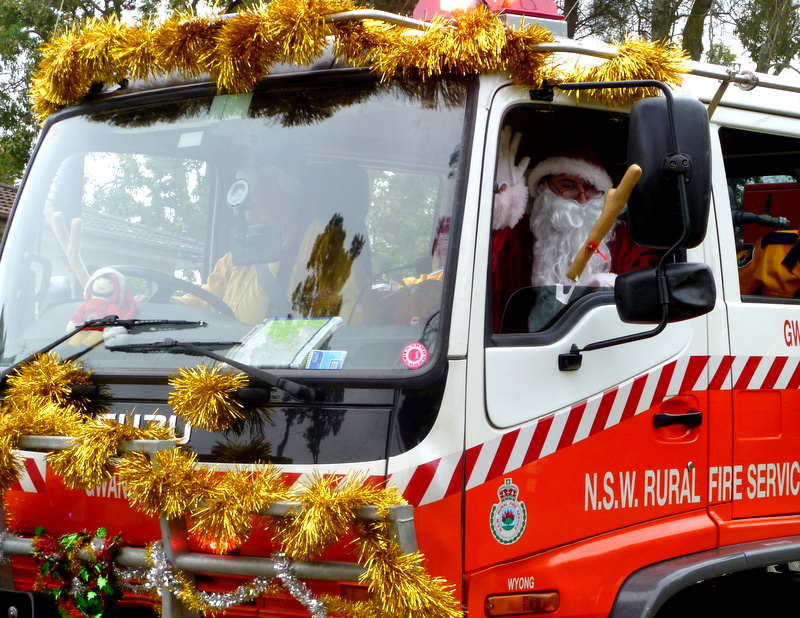 ** Santa travels all over Australia in a fire truck during the festive season, and can often be sighted in more than one location at any one time. 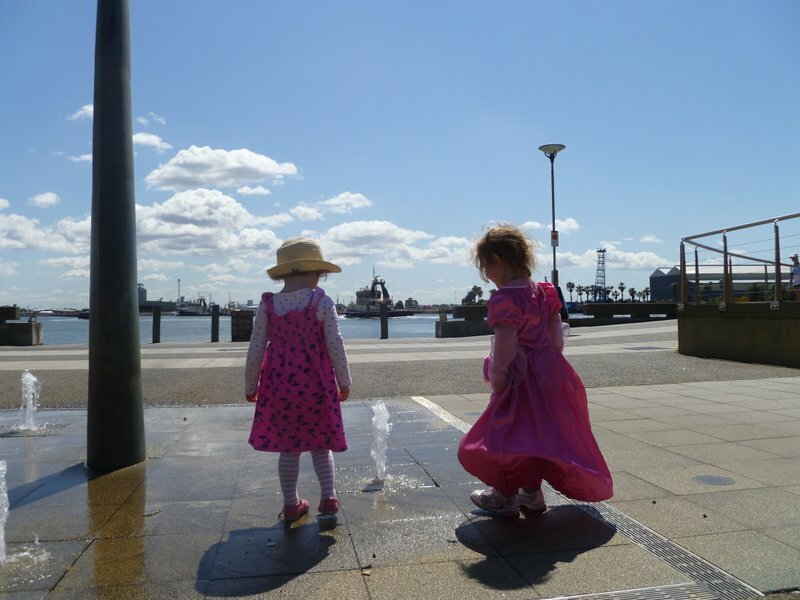 This entry was posted in Close to home, Life in Oz and tagged Australia Post Santa Mail, Father Christmas, fire truck, lollies, Santa on December 24, 2014 by Laura.